Here is a list of KissAnime alternatives watching anime online when KissAnime is down. In fact, a few of these anime streaming sites are better than KissAnime in terms of Interface, video quality and the range of Anime series. If you are not impressed by KissAnime and looking for its best alternative, then 9Anime is probably your answer! You can’t just watch your favorite Anime shows on 9Anime but it also allows you to download any Anime you want! That’s why it’s the first KissAnime alternative in our top 10 list. 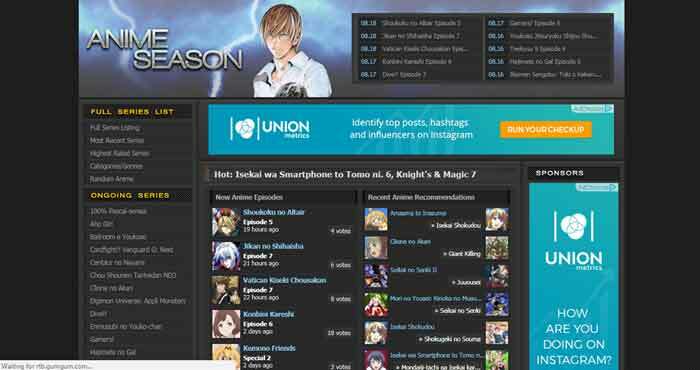 9Anime is one of the very popular Anime Streaming websites on the Internet with millions of active users. There are several reasons that 9Aime is considered to be the best Alternative to KissAnime. First and the foremost reason is the Interface of the website and its large database. 9Anime has a database of as many as around 25,000 shows. And the best part is, they are always open for the new request. If you don’t find your desired Anime series on 9Anime, you can quickly write to them and they will upload it on their server just for you. Besides, the video quality of 9Anime is also striking. The interface of 9Anime is extremely Intuitive. The shows are so well categorized into different genres and categories like Newest, Ongoing series, Recently Updated and so forth. However, the video does show ads but that’s their way of earning money from their website. Otherwise, it’s absolutely free to use 9Anime. Being an Anime lover, you must give Anime Season a try. Trust me, it’s totally worth it. The Anime Collection on Anime season is so big that you can spend hours and hours in watching them. Anime Season features most of the popular Anime series like Alice of Zouroku, Hunter, and Hunter etc. The website design of Anime Season is really appealing. Discovering and playing almost any Anime series on Anime Season is not more than a child’s play. The Anime Season is a very popular name in the Anime world for obvious reasons. It’s absolutely free to watch almost any Anime series on Anime Season with least advertisement possible. Besides, the video quality is also a plus of Anime Season. There is a long list of Ongoing Anime series which you can watch currently on AS. 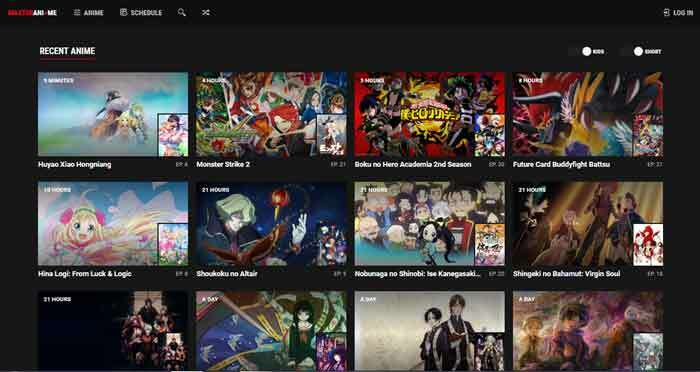 Besides, there are always categories like Full Series Listing, Most Recent Series, Highest Rated Series, Categories/Genres etc to browse through your favorite anime. If you have AnimeLab along, you really don’t need to be relied on KissAnime to watch any Anime series. By Any series, I literally mean any series. It won’t be wrong if I say AnimeLab a big virtual library for all thing Anime. 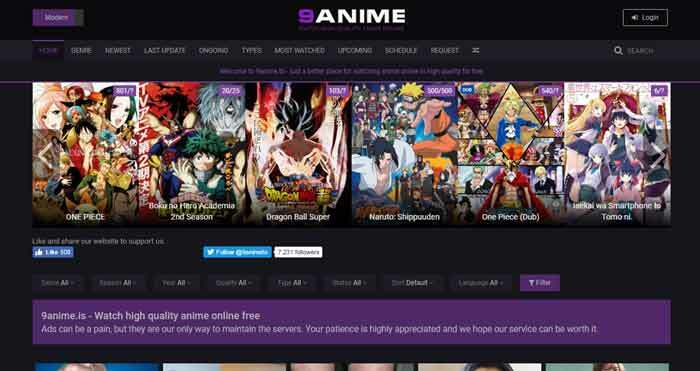 AnimeLab is a legal website which offers thousands of Anime shows to watch just for free. Besides, AnimeLab is supported by most of the devices including iOS, Android, PlayStation, Xbox, Apple TV and even Chromecast. 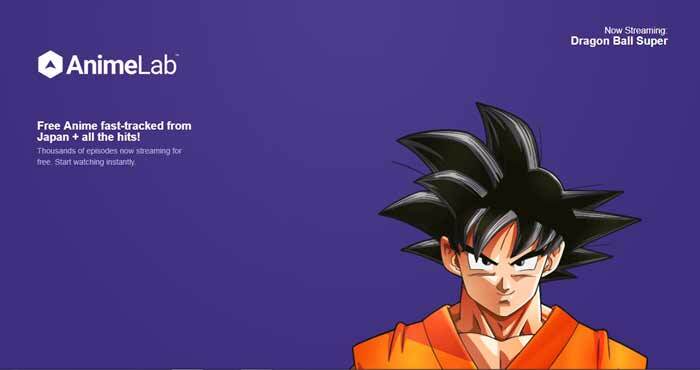 Apart from all the basic features like most of the KissAnime alternatives offer, AnimeLab boasts a unique yet very useful feature that differentiates it from other Anime streaming websites. 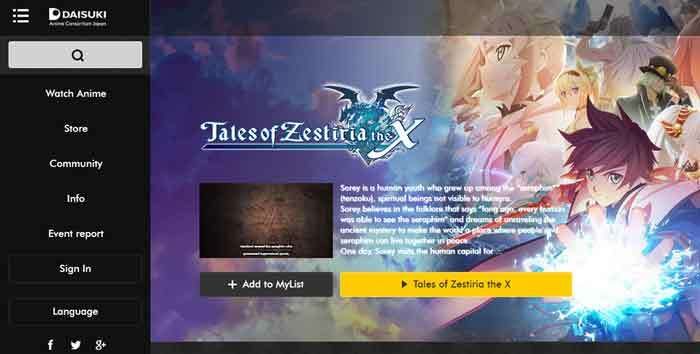 When you move your cursor on any Anime series thumbnail on the home page, it gets flipped to show you information about the show. Like the quick overview about the story, the number of episodes it has, user ratings along with its information about whether it’s subbed or dubbed. The only downfall AnimeLab carries is its limited availability worldwide. Currently, Animelab is exclusively available for Australia and New Zealand users. But we hope that soon they will expand their services in more countries. Is Kissanime down at your end? No issues. You can still watch your favorite anime on Chia-Anime. Chia-Anime is considered to be a true KissAnime alternative for several reasons. First of all, both of the Anime steamers are free to access and both offer a great collection of Anime stuff, including Anime shows, movies, and videos. However, the interface of Chia-Anime is little messy. On visiting the Chia-Anime, you will notice advertisements residing all over the website which makes browsing the website little clumsy. But otherwise, the website is good enough for all kind of Anime lovers. The Chia-Anime doesn’t only streams the Animes but also allow the downloading for the later use. The Anime series on Chia-Anime are both subbed and dubbed so you don’t really have to be a Japanese native to watch your beloved Anime cartoons. All in all, there is everything in Chia-Anime that makes it one of the worthy KissAnime alternatives. Animefreak is one of the very popular Anime websites which offer a big library of Anime series in high quality, that too for free. There are thousands of Anime streamings on AnimeFreak which you can start watching instantly without actually paying anything or signing up. The interface of the AnimeFreak is not much different from other websites. There are all the similar categories available that most of the other websites offer like browsing by genre, alphabetical content discovery, latest release and so on. The only difference is in the colors of the website. The colors on Animefreak are little vibrant but it won’t bother you by any means. After knowing about this website, trust me you won’t question for any more anime websites to watch Anime. Masterani.me is inevitably one of the solid KissAnime alternatives that offer all type of Animes without really changing anything. It is equipped with almost everything that an Anime lover wants in their favorite Anime streaming website. Accessing Masterani.me is seamless. You don’t need to sign up on it to watch your favorite shows. The only thing you require to have on your pc is the latest version of flash player. If it’s outdated. you can’t watch any programs on Masterani.me. Apart from this, there isn’t any special requirement to use masterani.me. Its interface is also very user-friendly. The home only features the latest uploaded Anime and there is nothing apart to confuse the users. Besides, you can also check the schedule of the Anime shows that are going to be uploaded on Masterani.me via the Schedule section from the top menu. Anime Streams is yet another leading Anime Streaming website on the internet. Anime Streams has a huge library of Anime series, videos, and movies which give you a feel of the true Anime world. The Anime Streams doesn’t charge even a single penny whatsoever for watching Anime. The videos quality offered on Anime Streams is HD and it’s a true pleasure watching Anime on Anime Streams. The main feature which sets Anime Streams apart are the various content discovery options. You can search for your favorite anime on Anime streams by browsing through the different categories mentioned on the website. The categories include Anime Movies, ongoing, English subbed, English dubbed, A-Z list and so forth. Moreover, there also a request section where you can request for your favorite anime if it’s missing on the website. Perhaps, Anime Streams is the best Kissanime alternative and a real replacement for it. Now let’s move further and check out more websites to watch Anime. 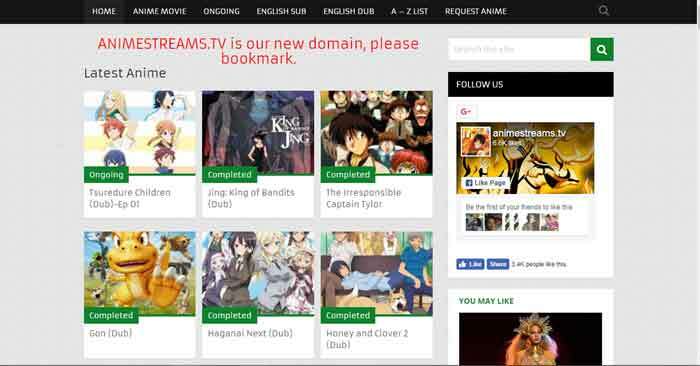 Anilinkz is yet another source of watching Anime for free. Anime also boasts a big collection of Anime series that like KissAnime. That’s the reason it’s considered as a good replacement for the same. The Anime uploaded on Anilinkz is both, subbed and dubbed making them suitable for all kind of users. Anilinkz is one of the frequently updated Anime websites. It’s updated quite too often with the new episodes of Anime every now and then, thanks to the developer team! Besides, the Interface of Anilinkz is also very clean. It isn’t hard to discover your favorite Anime from the categories like newly added, ongoing series and there a complete list of all the Animes available on the website. And the best part is, Anilinkz is absolutely free to use. As a whole, we give full marks to this KissAnime alternative for offering a big collection of Anime in high-quality! 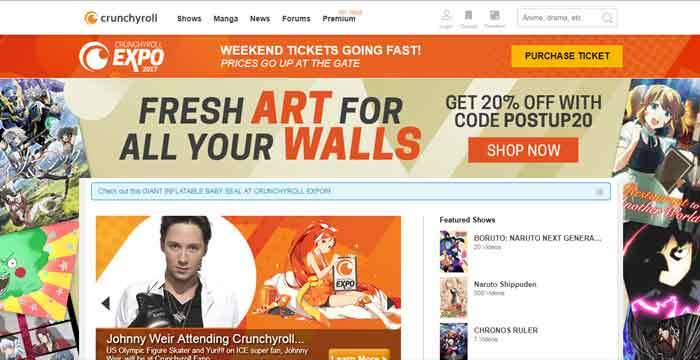 Crunchyroll was invented in the year 2006 and since its release, it’s getting huge appreciation from the users. Unlike most of the KissAnime alternatives mentioned in the list, Crunchy is not limited to only Anime. Crunchyroll offers watching Anime and other shows in not just Japanese or English but in multiple languages! If you are a legal person and doesn’t believe in watching pirated content online, probably Crunchyroll is your ultimate destination. There are about 25,000 Anime episodes and 15,000 hours of officially-licensed content offered on Crunchyroll. However, you don’t get to see all these shows free of cost. Crunchyroll offers a mix of free as well as premium content. If you don’t watch Anime too often, you can go for the Crunchyroll free version. But if you are an anime freak, perhaps you need to go premium, as the free version offers limited contents. As of writing this article, Crunchyroll has passed a benchmark of one million paid subscribers. If you are still looking for alternatives to Kissanime and isn’t feeling satisfied with the mentioned websites, the last Anime website I would like to recommend is Daisuki. It’s yet another full-fledged Anime website which offers Anime streaming in high quality! As per the claim by Daisuki, it’s created by the real anime companies, thus it offers all kind of anime possible. You get to see rarest animes to the latest and most popular Anime on Daisuki. Although you can watch all Anime on Daisuki without having to log in, it’s recommended to sign up for Daisuki for the best quality High-resolution videos. Also, you can only use iOS & Android apps of Daisuki when you sign up for it. Another plus that makes Daisuki stand in the competition is the design and well-categorized interface to browse through the Animes easily. Moreover, you can also create a playlist of your favorite shows to watch them later! AnimeLand is another Kissanime replacement. AnimLand has the list of dubbed anime list, anime movies, dubbed dragon ball super, dubbed naruto online and one piece. Animland features latest anime and newly added anime collection at home page. AnimeLand claims it has #1 biggest anime dubbed website. Anime videos quality is 480P upto 1080P HD. You don’t need to create any account here to watch your favorite anime shows or movies. Streaming is smooth. It has few ads but not annoying popups. Website is very well organized but it seems fully packed with ads. AnimePark is another best place to watch anime episode in English subbed. You don’t need to pay anything. It is totally free. Even AnimePark let you download anime shows. Currently, AnimePark has 4000+ anime shows collection and all are available for online streaming free. Anime shows’ video quality is HD. And streaming is flawless. Anime shows are listed under categories like Ongoing, Fall 2018 and batch. You can browse anime shows using genres including action, adventure, drama, romance etc. Website interface is very clean. It has many streaming servers so you can easily watch any anime shows here. Anime Planet is my next pick for Kissanime alternative. It is a very oldest and popular website among anime and manga lovers and has 45,000 legal anime episodes. Website is professionally well designed, it seems like a premium website but it is free. It creates list according to your interest. If you want to connect people like you who love to watch anime and manga online, you can join Anime Planet community. Anime Planet features popular anime this week, Popular Manga this week, Newest anime recommendations, Fall 2018 Anime, Newest manga recommendations at home page. It makes easy to know what it is popular and what is new. Even here you can know details about top loved characters, top hated character, and other community member’s reviews about any particular anime and manga shows. Now that you know about all these KissAnime alternatives, you will never ever ask again to anyone “is Kissanime down”? Because if KissAnime server is overloaded or it’s down at your end, you can quickly opt for the mentioned KissAnime alternatives. Watching Anime is extreme fun. The craze of Anime can only be understood by those who loves watching Anime. Anime was Initially only popular in Japan. But with the time, Anime craze widen up across the world and people are now going gaga over Anime. The most popular Anime website which offers to watch Anime online is KissAnime and we don’t deny this fact. But everyone has a different opinion on certain things and their sense of like-dislikeness vary person to person. So it’s wrong to say that everyone is equally pleasant with KissAnime. Besides, Kissanime can be down sometimes. Such Scenarios make us find more KissAnime alternatives to watch our favorite series of Anime uninterrupted. I hope my efforts won’t go into vain and you have found your best alternative to KissAnime. If you know any other website which is like KissAnime and can be a good replacement for it, tell us in the comment section below. We love to hear back from our readers!